Chinese food is big: a report by Mintel last year revealed that 78% of Brits tuck into a Chinese takeaway at least once every three months . And whilst we used to rely on a takeaway, more and more of us are becoming interested in how to cook our favourite dishes at home. 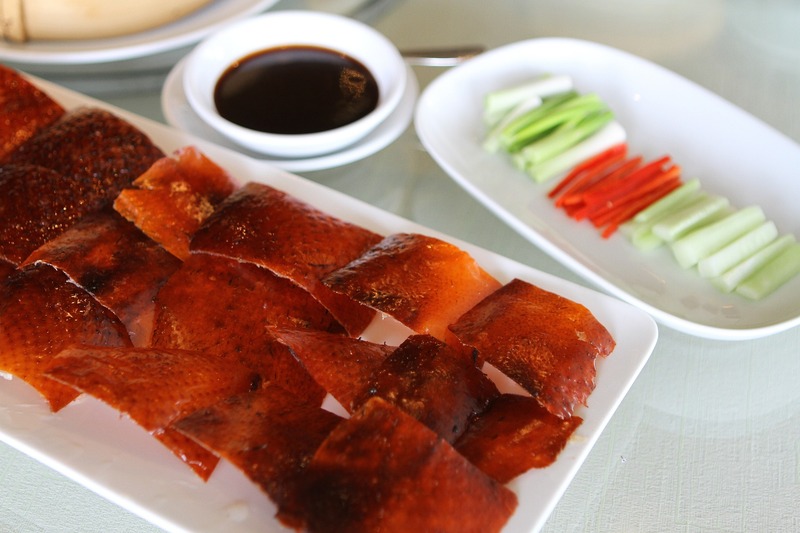 In recent years, the likes of Ken Hom, Ching’s Kitchen and Chinese Food Made Easy have given those considering a homemade Chinese dinner some food for thought. The instructions are one thing, but you need to make sure you’ve got the right ingredients. So here are the storecupboard essentials you need to make great Chinese food at home. Sesame oil – Should be your go-to dressing or used as a flavouring during the final stages of cooking. Drizzle this oil on the top of your dish or add into stir-frys for a lightly smoked nutty seasoning. Peanut oil – If you’re looking for a nutty oil that you can fry with, peanut oil has got what you need. It’s flavourless with a high smoking point, so is most commonly used for deep frying. Chilli oil – Another condiment used for flavouring. As the name suggests, chilli oil is infused with chillies to give your food an extra kick. Chinese Five Spice – An ancient spice made up of five components: cinnamon, cloves, fennel seeds, star anise and Sichuan pepper. This blend is often used in marinades for poultry dishes, Chinese spare ribs and in stir-fries, to create a warm, sweet and aromatic flavour. Chilli flakes – Again, pretty self-explanatory, chilli flakes are flakes of crushed dried chilli peppers. They add a hot red colour to your dish as well as a fiery taste. Sichuan peppercorns – The outer pod of the prickly ash shrub that offers oaky flavours and a citrus aroma. Sichuan peppercorns are very popular in Chinese cooking, either crushed or thrown into the recipe whole. Fish sauce – Usually made from anchovies or squid, fish sauce is a liquid mixture that adds a hint of salt and, as you’d expect, a fishy tang to your dish. Oyster sauce – Traditionally, oyster sauce is made by simmering oysters in water until a syrupy mixture is released, which forms the base of this thick flavoursome sauce. Leaving a salty-sweet taste on the palate, oyster sauce is commonly used in stir-fries and to compliment beef dishes. Soy sauce – If this isn’t already in your storecupboard, it should be on the top of your shopping list for homemade Chinese food. Made from soybeans, this will add colour and a light saltiness to your meal. The most recognised of the family, Dark soy sauce, is only one of a large variety of authentic soy sauces used in Pan-Asian cuisine, so make sure you shop around for your favourite. With succulent flavours all stocked up and waiting in the store cupboard, your next vital ingredient is the carbs, and there are different noodles for different dishes. Egg noodles are the most common, but come in textural varieties: from fine to broad thickness. Rice noodles, glass noodles and udon are other popular variants. The classic Chinese staple, available in medium to long grain varieties with a diverse range of textures and flavours, like noodles, there are several types of rice to choose from. As a sticky long-grained rice with a distinct jasmine scent and nutty aroma, Jasmine rice is particularly popular. Whilst white long-grained rice is another storecupboard essential, for cooking up the perfect egg fried rice. Brown rice and Chinese black rice should be sought after by those looking for the most nutritious alternative. White rice vinegar – Bittersweet without packing too much of a punch. This transparent liquid adds a milder and sweeter taste in comparison to malt vinegar, helping to bring out the flavours in accompanying ingredients. Dried shiitake mushrooms – Shiitake mushrooms are rich in umami flavour and are a staple ingredient of many Chinese meals. Cornflour – When cooking Chinese food at home this is the secret ingredient to thicken up the sauces in your wok, for example in crispy beef dishes and stir-fries. Many more of us are using our woks weekly to cook authentic Chinese cuisine, so the majority of the ingredients listed above are now available at large local supermarkets. With a few of these staple ingredients in your storecupboard to get you started, it’s easy to make your own Chinese food at home. Making Chinese food at home is rewarding, but it can take time. If you’re looking for easy snack options to accompany your creations, take a look at our Chinese range – available from Iceland stores throughout the UK.